« don’t let the tree huggers get away with it! so, the arizona legislature signed a new law into the books last monday to try and stem the tide of illegal immigrants into mexico. arizona is the busiest border crossing point and the government is on the hook for lots of costly services to the illegal immigrants, like if one of them gets hurt and has to be taken to a hospital for treatment. the latest bill would make it a state crime for anyone to not have their alien immigration paperwork on their person. it would also require police to question people about their immigration status if there is reason to suspect that they are in the country illegally. 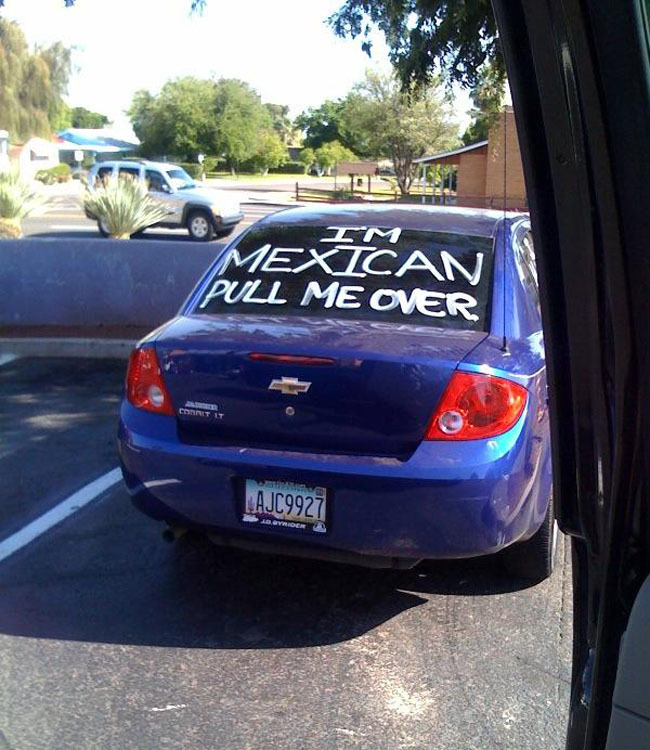 that’s pretty easy – just ask every mexican you pull over. just as in terrorism, the drug war and healthcare, we are treating the symptoms and not the problems. why not punish the businesses with a $250,000 fine for hiring illegal immigrants? that won’t fly because the companies lobby the government plenty to keep using their under-minimum-wage workers and help their bottom line. no one in the arizona government wants to hold the local businesses accountable, because they’ll just pack up and move to another state is less stringent.